What is safe and secure of used nuclear fuel management and disposal in Canada and other nuclear developed countries? Even after March 11, 2011, interest in new nuclear generation has increased. New Brunswick, Ontario, Saskatchewan, and even Alberta (heretofore a “non-nuclear” province) have considered adding new nuclear capacity to their energy mix. However, in spite of any nuclear energy policies taken by government and utilities, issue on management and disposal of used nuclear fuel is essential for public acceptance of the policies. In order to improve the reliability of used nuclear fuel repository system performance evaluation, simply speaking from the perspective of pure engineering and natural science, it is necessary to: (i) quantitatively understand and model physical/chemical reactions that proceed on the order of picoseconds and predict how repository system performance would be maintained or changed over a time frame exceeding one million years; and (ii) quantitatively understand and model the reactions occurring at the atomic/molecular level space scale (10-9 m) and predict repository system performance in an earth environment at the order of 103 m. In addition, in contrast to automobiles and aircraft, the system under consideration is not an artificial product that allows the verification of methods used to determine appropriate safety margins prior to deployment, such as trial use until system failure. The above clearly illustrates that used nuclear fuel disposal involves aspects of engineering that humankind has never experienced, and that a comprehensive understanding of issues related to it: i.e., the effects of social systems and international politics, the feelings of local residents, the relationship between the central and local governments, intergenerational gaps in ethical views and values, the cultural historical recognition in different countries and methods of securely transmitting information about the location of repositories over a great number of generations, require us to employ not only the natural sciences, such as physics, chemistry and mathematics, but also various mutually related areas of the humanities and social sciences. We can say the development of used nuclear fuel disposal is considered as the so-called “heterogeneous engineering” efforts. My interest is to conduct researches that lead to definitions for and methods of evaluating the risks associated with the objects of such heterogeneous engineering in the post-industrial society of the 21st century, and to the appropriate management of the evaluated risks from an engineering perspective for use of heterogeneous engineering systems. How can engineers establish regulation for long term risk in 21th century? Canada, USA, European countries and Japan developed into industrialized societies in the late 1980s, and now, these countries are evolving undeniably into post-industrial societies following global environmental changes such as the end of the Cold War, globalization and computerization. At the same time, they are losing their comparative superiority to so-called emerging countries such as China and India, which are rapidly developing and catching up to them. Hereafter, we must initiate a drastic restructuring of systems, resources, thinking, safety and security concepts, and safety regulatory frameworks to accommodate post-industrial society while taking advantage of the results of the successes of industrial society and making effective use of advanced science and technology. In developed countries, since high-level industrialization has already been achieved, the pace of technological innovation has slowed down and their societies are approaching a steady state. Frustration with situations that are unlikely to change accumulates throughout the entire society, and accidents often occur in engineering systems as a result of gradual deterioration in societies that have reached a steady state. Deterioration in technical safety is of particular concern because social infrastructure, including nuclear engineering technology, will continue to play a fundamental role no matter how societies change. This area of research covers the use of nuclear energy, including nuclear reactors, nuclear fuel cycles and used nuclear fuel disposal, and efforts will be devoted to establishing a new engineering that can be applied to the setting of safety standards to reduce the risks inevitably associated with uncertainties, and guidelines to determine the factors that must be taken into account in estimating risks to assure policy planning from the perspective of safety regulatory engineering that conforms with post-industrial society. This established engineering will enable us to maintain the soundness of society through the development of safety and security concepts that cover the entire range of engineering systems, starting from nuclear energy. What is ethical reason why Canadian and Japanese selected/is using/will use nuclear energy? Accident of Fukushima Daiichi Nuclear Power Plant showed Japanese people that they have never seriously considered why Japan started use of nuclear power 10 years after Hiroshima and Nagasaki disaster and has developed 54 nuclear power plants (3rd big power after USA and France), why Japan can operate both uranium enrichment facility and reprocessing facility (only case in non-weapon countries), and so on. In the past 50 years, one of the official rationales of the Japanese nuclear development is to establish its energy-independence. In this context, Japan’s nuclear program has been organized based on the “domestic” considerations. However, significant changes have occurred globally and regionally. How about Canada? Canada was an equal partner with USA in Manhattan Project. Why did Canada decide to become a non-weapon country? Did/Does Canada has no responsibility for Hiroshima and Nagasaki? Where will final repository site of used nuclear fuel be located? Near Toronto or near municipality of native Canadian? We often hear that nuclear energy use is very safe because nobody died even in Fukushima Accident by radiation effect, compared with number of fatalities in other industries. Do you agree with this? Considering the attack of USA/UK to Dresden, Germany and to Tokyo/Japan during World War II, where similar number (of course, smaller, but the level was similar) of people (non-soldiers) died, can we say the normal weapon is as severe as atomic bomb? We nuclear engineers have to consider the use of nuclear energy from the ethical point of view and always prepare to answer the questions from public and the society. - a Fellow of School of Engineering, the University of Tokyo. April 1,1988 - Dec.31,1990 Engineer, Shikoku Electric Power Company Inc. The following Engineering Physics faculty were recognized at last night’s Applause and Accolades Awards Celebration. Congratulations to all! 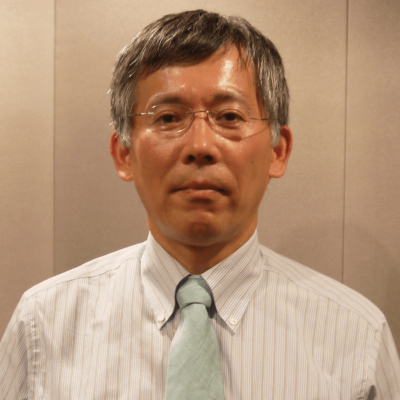 Dr. Shinya Nagasaki is a Fellow of the School of Engineering of the University of Tokyo! More than $1M for infrastructure to expand and enhance labs.